Being a part of the state of California, San Jose is also subject to the specific state laws that regulate towing services. If you get a chance to travel this great city, or even just pass through it, you need to be aware of some important towing laws to keep away from unwanted trouble. Every place has its own laws of course, so here are some that are valid in San Jose, CA. As you are probably well aware, “no parking zones” need to be clearly marked as such. Meaning, the specific area has to be defined by a 17/22 inch sign, which is positioned in a suitable spot for everyone to notice and easily read. 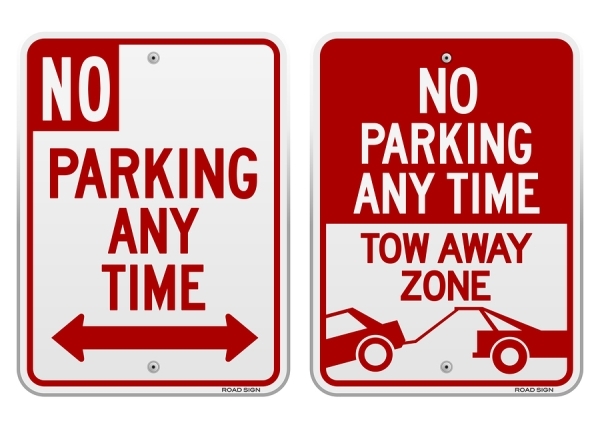 Parking in such zones may result in having your car towed. However, if the aforementioned conditions have not been met (no visible sign, for example), then the towing of your vehicle may be illegal and in contradiction of state laws. In such cases one should contact the police and report an unlawful towing. In addition, a private person’s property is also considered as a “no parking zone”, as it is not a public place. If a vehicle is wrongfully parked in a forbidden area such as that, the property owner is free to report it to the local police and have the car removed. But, if for some reason the vehicle fails to operate, due to a mechanical failure, a flat tire, or a dead battery for example, then the property owner must wait for 24 hours, before making the call to the authorities and having the car removed. It is of course obvious that towing companies, as well as car owners, are also obligated to obey state laws. For example, towing companies are subjected to a law which limits towing prices. The law refers to the charging fee that is imposed on car owners, and that it mustn’t exceed the sum of one day’s vehicle storage charge. This applies only if the car owner reclaims their vehicle within 24 hours. 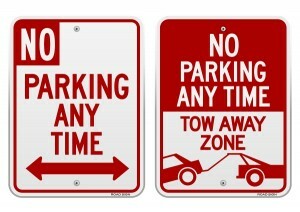 Another law which applies to towing companies is the holiday parking regulation. Meaning, some areas are forbidden for parking, but not on holidays. Therefore, if the company strays from the law, it could be fined due to unlawful towing. Have a safe ride, and a safe parking, everyone!